Everyone wants to make sure their mobile smartphones are secured from all kinds of malware, viruses, and other threats which may prove fatal for the device. 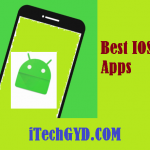 We have already covered the best iOS Security Apps Being this as a concern for an Apple or IOS device user, we have come up today with our picks for Top 10 Best IOS Antivirus Apps 2019. So without any further delay, let us begin with the list. Over the years, Avast has been one of the best developers of the antivirus software. In fact, they are mainly known for their antivirus software for computer and mobile devices. For IOS users, the app which has been and will be best even in 2019 will be Avast Secure Me. This is due to the advanced security features which keep you protected from both offline and online threats and helps you secure & backup your data in a better way. Getting the premium will expose you to more important features. One of the things which may make you get this one is the lighter weight of the app. 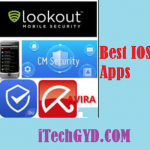 It doesn’t matter whether it is iPhone (the older versions as well), or the other devices from Apple running IOS operating the software, Lookout Mobile Security is one of the lightest and cheapest options. What it does is that it not only protects you from the offline threats which you might get due to the files but also, this keeps you safe even over the Wi-Fi connection. Also, it makes a backup of your offline data in case anything bad happens and you can retrieve it back. Just like Avast, McAfee has been among those brands over the years which we have always stayed in the competition of becoming the number one app. Even though it might not make it to the number one spot, it still brings some top features. You are about to get some really cool offline and online security features with McAfee Mobile Security Well, for starters, you will get some features for free but to get the best of it, get the paid features and then see the wonders. Why would you be surprised when all these top antivirus software are making it to the list about which you have all been hearing for years? Norton Mobile Security is another of them and as the years are passing, they are getting better and better. There is no surprise that it has features such as offline and online security, backup of all the important data, and make sure that you are being protected from the cyber threats as well. Back in the day, CM security was the only decent antivirus that came free. It ranks very high on the AV-Test and has been keeping the tradition going for quite. A few years now. CM Security has an app lock feature which is more advanced than any other feature of the kind. It has a biometric recognition system using your fingerprint. Moreover, it takes pictures of people who try to sneak into your apps. With no luck, of course. 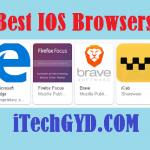 It is lightweight which means it does not take much space on your phone and quite fortunately even with all these amazingly advanced features, it is still free of cost. 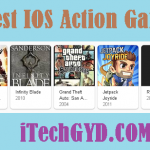 If you like you would not be able to pay for the advanced features of the above apps or their yearly subscriptions, here is an alternative for you. Virus Barrier may not be as advanced as any of the above apps but it brings all the necessary features which will keep your phone safe. The app might not be as strong as the above apps against the online threats but it would surely protect your phone offline. Also, you can make the backup of the important files and be on the safe side. Over the past years, 360 Mobile Security has been grossing all over the internet. There have been many ad campaigns for the app and when people actually started using it, it was really good as it was glorified in the ads. Well, let us take you to the features side of the app. 360 Mobile Security is a very light software which won’t make your phone any heavier and still stays online all the time to protect you against all the offline and online viruses and malware. It can fight against most types of mobile viruses and keeps your data protected. This will surely be another better antivirus choice for 2019 as well. Avira is another new yet beneficial antivirus. It has the basic antivirus features of device scanning and app scanning. What sets it apart from the conventional antivirus software is that it also offers external SD card scanning to detect any malware in that. Furthermore, there are anti-theft features, privacy features and blacklisting feature. There is also a Stage-fright Advisor that is supposed to help you get that fear. It is one of the most important reasons to try this new antivirus. The antivirus is initially free but you can buy it for the annual fee of $12. Avira Antivirus for both the Android and IOS is a very technical antivirus aimed at getting the job done. It comes with the basic device scanning, real-time protection, and privacy guard. This feature helps you know which information in a third party application using or has access to. It also has a system manager and data backup to ensure the safety of your data. One of the best reasons to check out this antivirus is the Find my phone feature which helps you locate your phone in case you lose it. The anti-malware software is absolutely free of charge and is a must try. If it our last pick, it doesn’t mean that it isn’t any better. Trend Micro Mobile Security is another impressive antivirus software which you can get for your IOS devices. 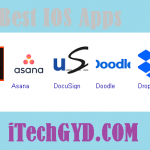 It may not be as powerful as the other top apps in terms of cyber and online security, it is still a very good option for the backup and offline security. Most of the app features from Trend Micro Mobile Security are free and what you are about to get is a really nice, light, and impressive antivirus software.